If you are in the setting point of your life when you decide to organic even with your makeup, it means you already know that an organic foundation makeup is able to have the same functions as the traditional one. The organic foundation doesn’t contain any chemicals and it may be used to even your skin, but you can find various types that come with more benefits, like ultraviolet ray protection or fighting against aging process. The best organic foundation is the one that fits the best your skin type and covers as much as you want. You should double check the ingredients on your organic foundation as there are some that are labeled as “organic”, but still might contain some synthetic ingredients and chemicals. Why try an organic foundation? Typically, you use makeup to highlight your best features and to add some color/glow to your skin. You use it to even your complexion and but also as a base for any other products that you put afterwards. Organic foundation has become more and more popular and some like it more as they don’t contain any preservatives, talc or pesticides. True organic foundation is made only with plant extracts and minerals. The first thing you need to do when choosing your organic foundation is to read the labels as not all products labeled as organic are only containing natural ingredients. You can find organic foundations that have anti-wrinkle powers, but also non-comedogenic properties as they don’t clog the pores on an acne-prone skin. Some products are also sun protective for the situations you expose your skin to the ultraviolet rays. A light organic foundation means it doesn’t contain many ingredients and…less risks for it to contain chemicals. Even though scientist raise their eyebrow when it comes to the organic foundation be safer for your skin, it’s sure that is a better option for any sensitive skin. Many chemical-based products cause rashes and irritation and sensitive skin is prone to this kind of problems. Some natural ingredients may also cause adverse reactions and you should stop using that product if your skin gets irritated. Does the organic foundation fit your skin? If your skin is sensitive and/or have acne prone skin, you could benefit from an organic foundation. This type of skin absorbs fast pure mineral foundations. This organic foundation is the basic organic foundation. You can use a flat top brush to apply it and get the coverage that you want. You can go for a light cover or try a full coverage. The pure mineral foundation is the best organic type to go on a sensitive/ acne prone skin as it doesn’t contain any irritants. You can try organic foundation also on an oily skin. This type of skin is a bit acne prone or gets oily throughout the day. The organic foundation needs to lower the oil and cover imperfections. The mineral foundation is a good choice for the oily skin as it absorbs oil and covers pretty much everything you worry about on your skin. There are also organic cream foundations that keep the oil level under control. The organic foundation may be successfully used on normal skin also. This type of skin doesn’t need much caring or makeup, but it may benefit from a full coverage. No matter your choosing, the normal skin may take advantage of all the organic foundation types out there. Maybe not as powerful as the traditional cosmetic product, but an organic foundation may also be efficient on a dry and mature skin just as well. An organic foundation would contain ingredients to hydrate your skin and leave a youthful, fresh feeling. The foundation in this case includes ingredients that boost collagen production and minimize the appearance of sun spots and ultra pigmentation. There are great benefits related to the anti-aging process. Take a better look on the label of the organic foundation and don’t hesitate to stop using it if your skin gets irritated. No matter how natural it might be, any ingredient might give side reactions on your skin. 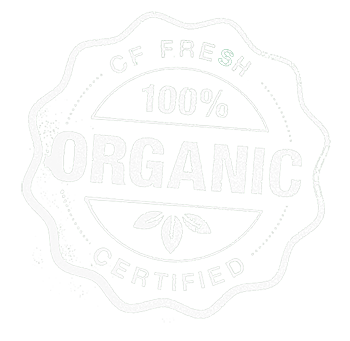 But, if you decide to go organic, it means only natural ingredients will touch your skin. Cffresh.com is a participant in the Amazon Services LLC Associates Program, an affiliate advertising program designed to provide a means for sites to earn advertising fees by advertising and linking to amazon.com or myhabit.com. Amazon and the Amazon logo are trademarks of Amazon.com, Inc. or its affiliates. © 2016 Cffresh.com. All rights reserved.